Yes, I went to California Pizza Kitchen. I was actually invited to try them out because they saw my blog. Here’s my thing on chain restaurants. If you are in Portland you had better be competing well, because the food scene here is pretty crazy. So when I was invited to try CPK I thought I would at least see what they were about. We were greeted by a very happy staff, and as we watched them with others we saw that this was pretty much how they were with everyone. We met the General Manager who walked us through the menu and answered some questions. My biggest thing is where their ingredients come from. They do local when they can, but when they can’t they at least do all fresh ingredients. So no bagged salads from here, all fresh lettuce and that is huge for me. We sat back as they just showed us their favorite dishes. 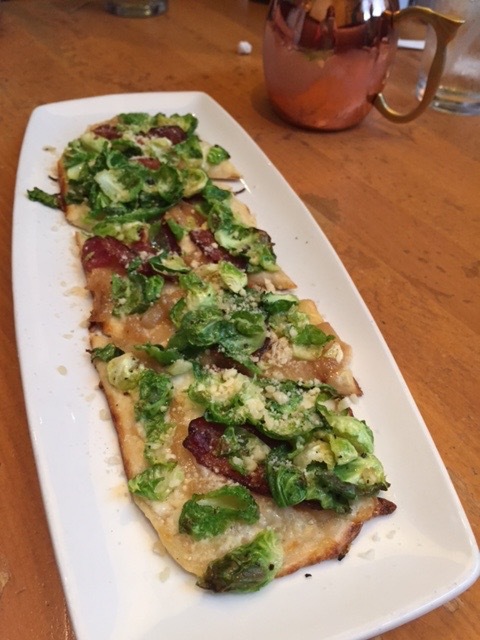 I love brussel sprouts, so I loved this dish. And the sprouts were done perfectly. Crisp veggies and fresh cilantro with chicken and the crunch of peanuts, wontons and rice sticks. 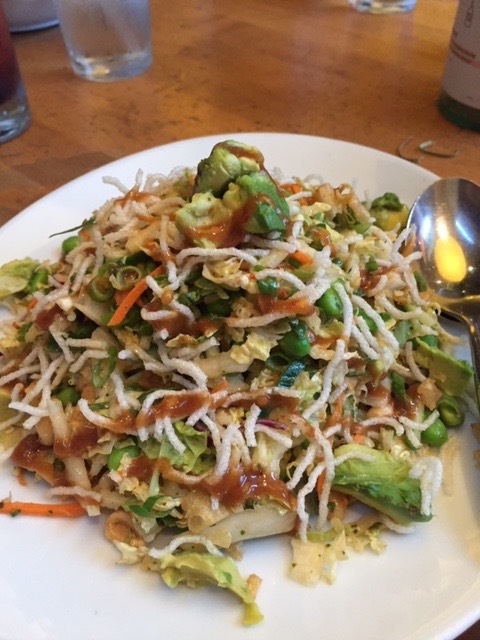 Tossed in Thai peanut dressing. We had one vegetarian with us so they swapped out the chicken for avocado. Great dish, tons of flavor, very fresh. 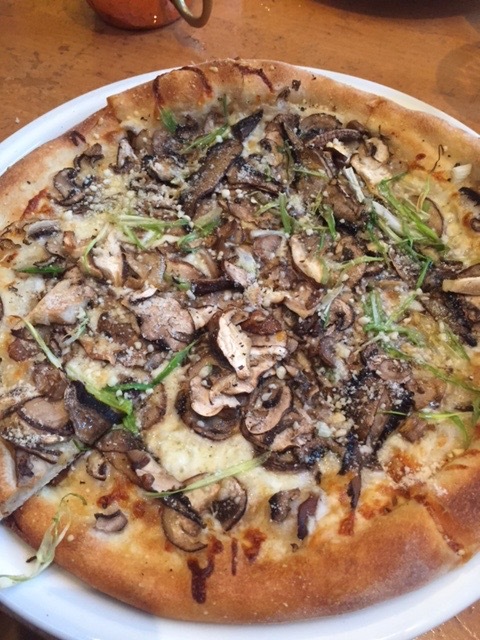 Shaved Cremini, Shiitake, Portobello and white mushrooms with slivered scallions, cracked black pepper, Romano and Mozzarella. Finished with Parmesan. When they bring it out they drizzle it with White Truffle Oil at your table. Life of Pie has my favorite mushroom pizza, so they had pretty high standards on this one, but we all agreed it was pretty darn awesome. 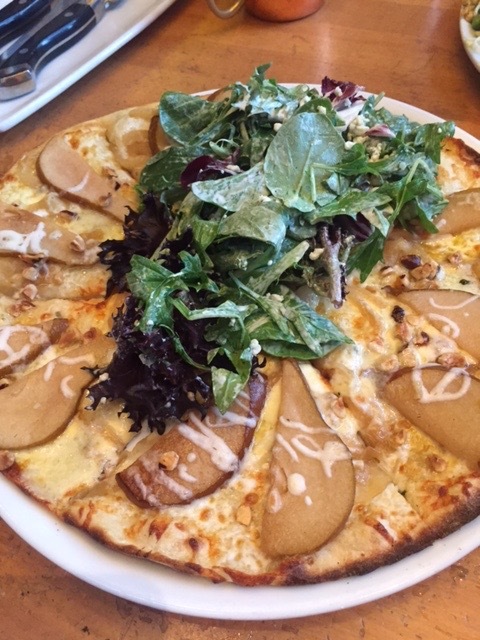 This pizza with Bosc pears, sweet caramelized onions and hazelnuts, topped with chilled field greens in housemade Gorgonzola ranch was also great. We all agreed the flavors went well together and we loved having salad spread over the whole pizza. This was our most favorite dish of the night. 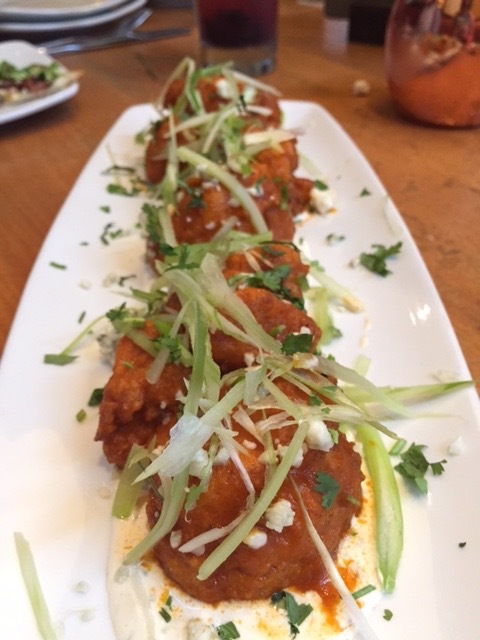 Fresh cauliflower florets fried to a golden brown with buttermilk batter, then tossed in housemade Sriracha buffalo sauce and and topped with a salad of celery, Gorgonzola and cilantro. Apparently it’s new so the staff can’t order it because they would run out too fast. People usually place an order for one then they put in a second order. I can see why. Fantastic!! 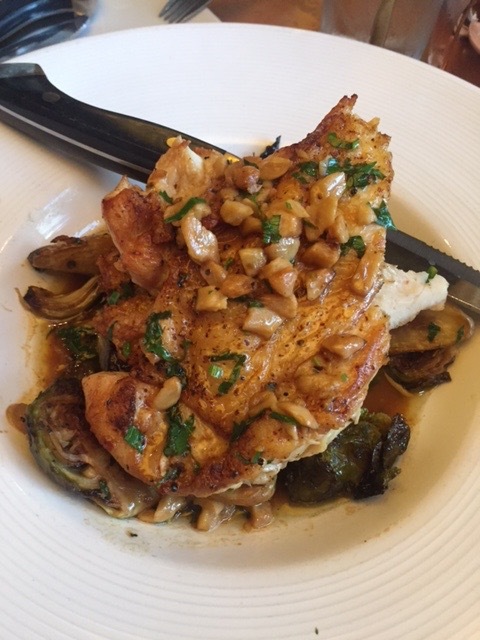 Another new dish was the Pan-sautéed chicken breast in lemon-garlic sauce with hearth-roasted fingerling potatoes, cauliflower, Mediterranean herbs and seasonal vegetables. Not only was this great, but it made the best leftovers. Very much a comfort food done right. I was surprised to see this on the menu. 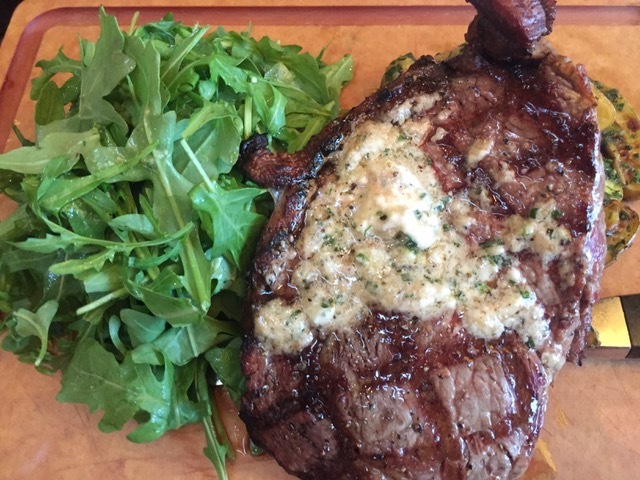 A 12oz USDA choice ribeye grilled with housemade Pinot Noir sea salt and topped with creamy bleu cheese butter. Served with roasted fingerling potatoes and lemon-garlic wild arugula salad. My honest opinion is the steak was good. Not great, but good. The Bleu Cheese butter was a great addition. The trio consisted of Trust us. Butter cake erved warm with housemade whipped cream. 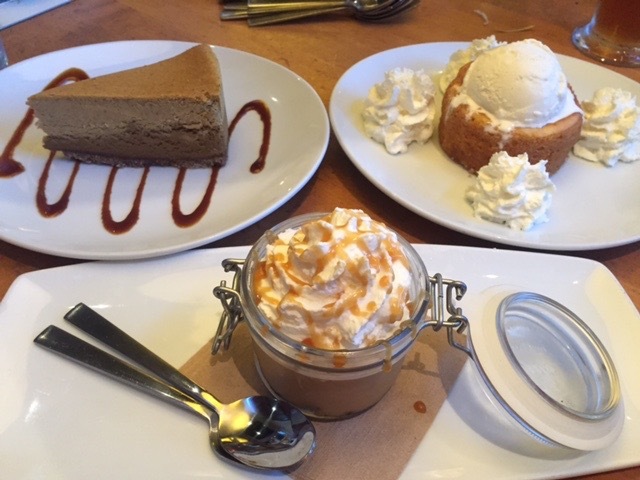 Salted Caramel pudding, which is a rich caramel pudding, black cocoa cookie crumbs, housemade whipped cream, caramel sauce and natural flaked Maldon sea salt, and a pumpkin cheese cake. 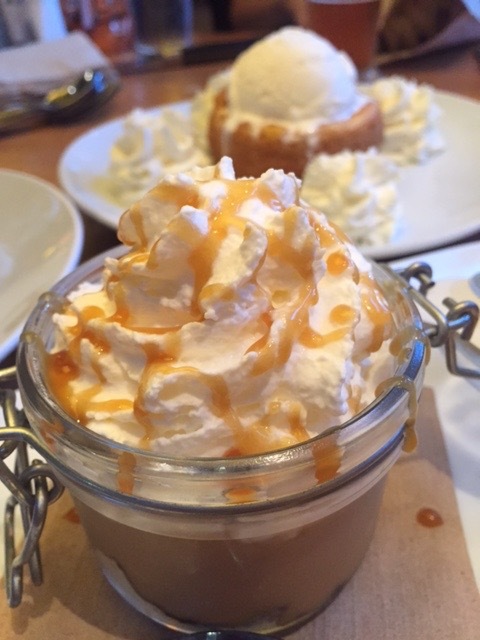 The butter cake was hands down our favorite dessert. Atmosphere is great for meeting friends and bringing kids. Service was exceptional, and like I said we felt like everyone was experiencing what we were. Pricing seemed pretty lined up with what you would pay at any Portland restaurant. Drinks included cocktails, beer and wine. California Pizza Kitchen is located at Bridgeport Village in Tigard.